New Brunswick, N.J. – Can use of hair products have an impact on breast cancer risk for women? That is a question explored by Rutgers University investigators – and colleagues from Roswell Park Cancer Institute, Massachusetts General Hospital and Moffitt Cancer Center. Lead author of the work Adana A.M. Llanos, PhD, MPH of Rutgers Cancer Institute of New Jersey and Rutgers School of Public Health along with author Elisa V. Bandera, MD, PhD of Rutgers Cancer Institute, Rutgers Robert Wood Johnson Medical School and Rutgers School of Public Health share more about the work which examined use of hair dyes, hair relaxers and cholesterol-based hair products in African-American and Caucasian women. The work appears in the June 2017 online issue of Carcinogenesis (doi: https://doi.org/10.1093/carcin/bgx060). A: Evidence from previous studies, including some experimental studies on animal models and some epidemiologic studies, suggest that exposure to some compounds found in hair products may be a risk factor for developing cancer. But studies that have been done in limited populations have focused mostly on hair dyes, and have yielded mixed findings. Q: How was this study structured? A: A total of 4,285 African American and Caucasian women with breast cancer cases and controls (women without breast cancer) who were aged 20 to 75, recruited from New York City and ten New Jersey counties through 2014 and were participants in the Women’s Circle of Health Study were analyzed. 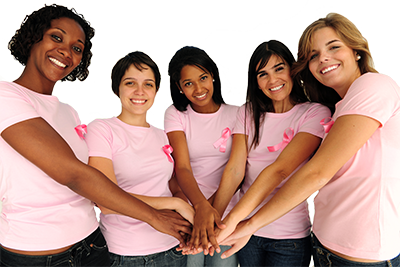 The New Jersey State Cancer Registry was involved in identification of breast cancer cases in New Jersey. We collected socio-demographics and established probable breast cancer risk factors, including: family and personal health history, prenatal exposures, reproductive history and hormone use, and lifestyle exposures (e.g., hair product use, tobacco smoke exposure, alcohol consumption, physical activity, vitamin use) from all participants. We also collected breast tumor characteristics from all breast cancer patients in the study. We were particularly interested in participants’ use of hair dyes, chemical relaxers/straighteners and deep conditioning creams containing cholesterol or placenta and how using these hair products may relate to their breast cancer risk. A: We found that use of dark shade hair dyes (dark brown or black) was associated with a 51 percent increased overall risk of developing breast cancer among African American women, and a 72 percent increased risk of estrogen receptor positive breast cancer among African Americans. We also found that use of chemical relaxers or straighteners was associated with a 74 percent increased risk among Caucasians, with some differences in breast cancer risk observed by estrogen receptor status. A: These novel findings provide support of a relationship between the use of some hair products and breast cancer risk. Our findings highlight the need for further examinations of the link between the use of hair products as important exposures that may contribute to the development of breast cancer, as well as ways to reduce the associated risks. Along with Drs. Llanos and Bandera, the other authors on the research are Anna Rabkin, Rutgers School of Public Health; Gary Zirpoli, Roswell Park Cancer Institute and Massachusetts General Hospital; Brian D. Gonzalez, Moffitt Cancer Center; Cathleen Y. Xing, Rutgers School of Public Health; Bo Qin, Rutgers Cancer Institute of New Jersey; Yong Lin, Rutgers School of Public Health; Chi-Chen Hong, Roswell Park Cancer Institute; Kitaw Demissie, Rutgers School of Public Health and Rutgers Cancer Institute of New Jersey, and Christine B. Ambrosone, Roswell Park Cancer Institute. This work was supported in part by grants from the National Institutes of Health (P01 CA151135, R01 CA100598, R01 CA185623, P30 CA072720 and K01 CA193527), U.S. Army Medical Research and Material Command (DAMD-17-01-1-0334), the Breast Cancer Research Foundation, and a gift from the Philip L. Hubbell family. The New Jersey State Cancer Registry, Cancer Epidemiology Services, New Jersey Department of Health, is funded by the Surveillance, Epidemiology and End Results (SEER) Program of the National Cancer Institute under contract HHSN261201300021I, the National Program of Cancer Registries (NPCR), Centers for Disease Control and Prevention under grant 5U58DP003931-02 as well as the State of New Jersey and the Rutgers Cancer Institute of New Jersey.